Washi tape is such a fun and multifaceted tool! You can use it to decorate your walls, stationery, or really anything in your house. Make your ordinary items super festive with Washi tape.. If you need some ideas, take a peek at 100 DIY ways to use Washi tape. This will help inspire you to craft with some Washi tape. 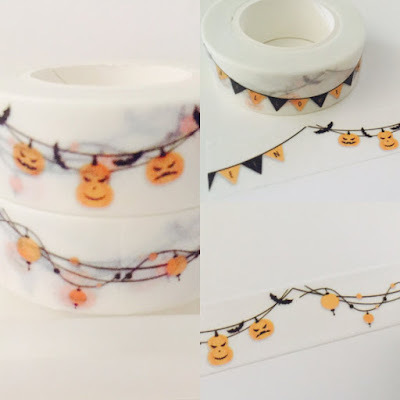 There is Halloween washi tape on Amazon and on Etsy. 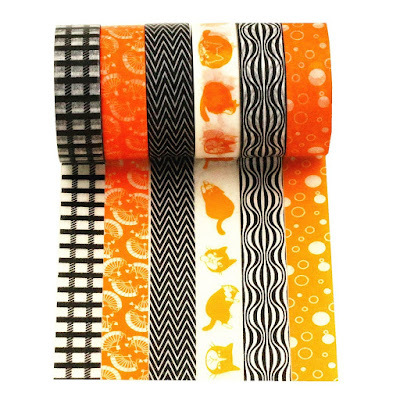 If you want a set of basic Halloween washi tape, I would get this black and orange washi tape. 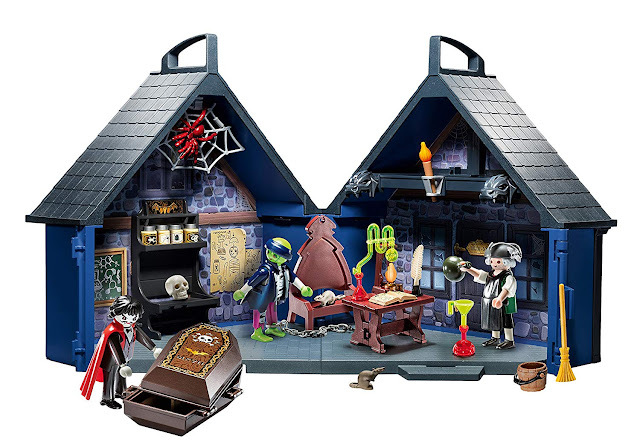 It's not spooky, but the shapes and colors are perfect for Halloween. 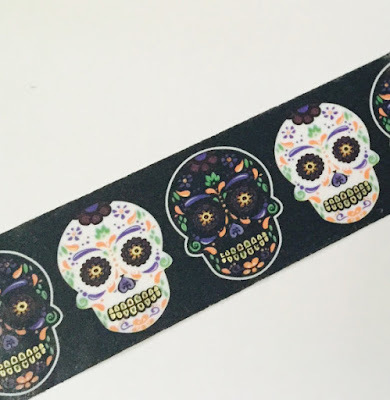 You could do so much with this sugar skull washi tape! Using this to decorate party favors would be very easy. 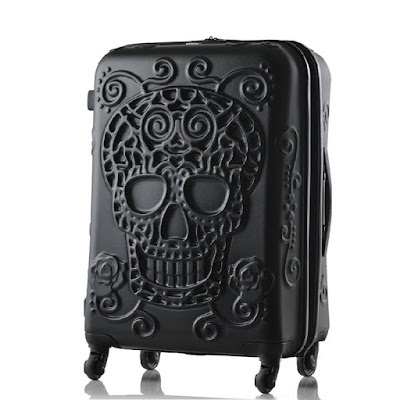 I love the alternate black and white sugar skull designs on this tape. 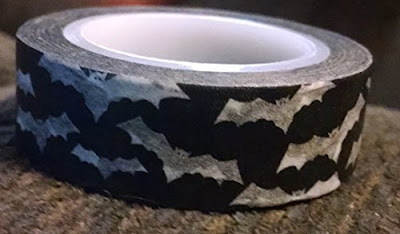 Of course having bat washi tape is a necessity for Halloween! Line your glasses or even plastic utensils. 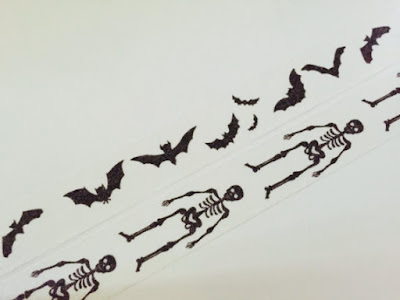 Using skeleton and bat washi tape will set the stage for a Halloween party! The cool part is that you can use this for future celebrations, because these are classic symbols. This Gingham ghost washi tape is pretty adorable isn't it? Clearly, this is kid friendly. In fact, you and your kids can craft together with this washi tape. 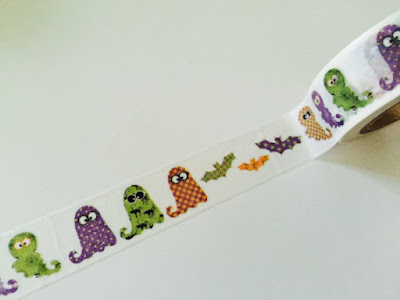 This very simple Halloween banner washi tape would be perfect for decorataing your walls! I don't know about you, but sometimes streamers can be obnoxious as they fall off the walls. This would be a great replacement! 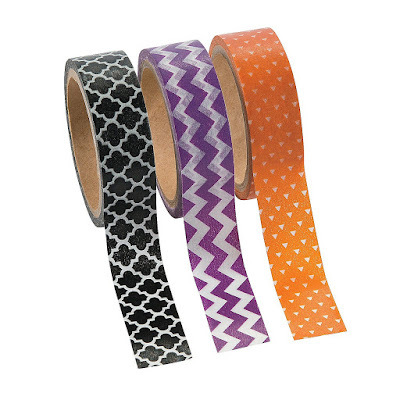 This set of Halloween washi tape is perfect for the holiday. Changing something really basic like colors and shapes can really enhance your decor! There are so many things you can use with washi tape. Here are some ideas! Make sure to look at all the Halloween washi tape on Etsy and Amazon. You can easily get inspired and find new ways to use your washi tape. Do you have any ideas? Comment below and share with us!